One program alternative to jail is County Parole. This is a program of intensive supervision and treatment for clients in lieu of incarceration in jail. The Marin County Parole Board is the authorizing body that allows carefully screened inmates to be released from incarceration in the Marin County jail and allowed to remain in the community. The program includes intensive supervision and treatment by probation staff, commitment to residential treatment facilities for some inmates, and electronic monitoring and tracking. Additionally, the Probation Department has a contract with Bay Area Community Resources, a nonprofit program, to provide assessment and treatment to select clients placed on County Parole. County Parole Program no longer supervises applicants on electronic monitoring/home detention. Parolees are supervised by LCA (Leaders in Community Alternatives, Inc.). These criteria are subject to change and are often modified, so speak with your attorney before you rely upon any of this information. You must have a total of 30 days or more to serve in Marin County jail. You must have a fixed residence with electrical service. You must have a telephone or cellphone. All applicants must have an alcohol/drug assessment by Bay Area Community Resources (BACR) if charged with a drug/alcohol offense, or have jail time of 90 days or more or as deemed needed by parole staff based on past parole/probation history. You must call BACR at 415-755-2299 to make your appointment for the assessment. A nonrefundable application fee of $100, must be paid upon submitting your application. All applicants will pay program fees directly to Leaders in Community Alternatives, Inc. Fees will vary based on applicant’s ability to pay and financial status. Fees may include, but are not limited to, enrollment, installation, and equipment monitoring and replacement, in the event of loss. Applicants may also apply to parole if they have applied for Adult Offender Work Program (AOWP) and were terminated due to medical reasons. Parole board hearings are held on Wednesdays, beginning at 8 a.m. In-custody applicants are generally seen first, followed by out-of-custody applicants. Applicants are seen on a first-come, first-seen basis, subject to the parole board’s decision. not to bring dependants (children) to the hearing. There are no provisions for child care and no defined schedule for the hearing. No one is allowed into the hearing without specific parole board authorization. NOTE: Parole applications take two to four weeks to process, so plan accordingly. There is a procedure to apply for Marin County Parole, for which we assist our retained clients. 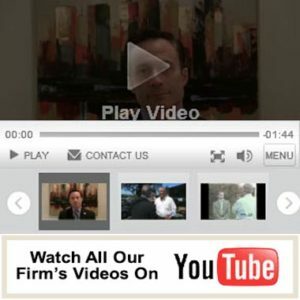 Please call Fiumara & Milligan Law, PC for a confidential consultation. Our toll-free number is 855-247-3190. We are conveniently located in two locations, Sonoma County and Marin County.